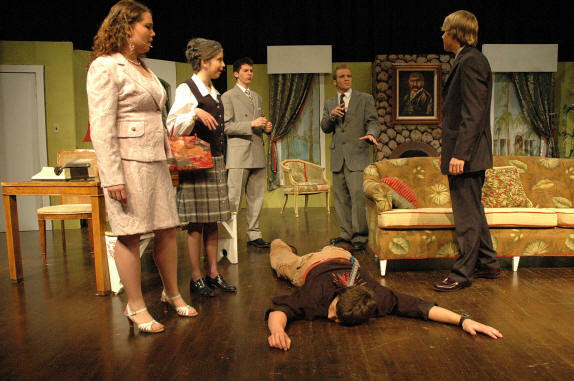 Done to Death was one of several plays for which I created the sets. 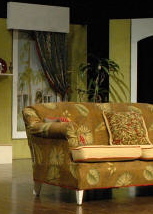 For this performance, along with set design, I upholstered the furniture to coordinate color schemes and painted watercolor scenes to mimic window views. The set, paint and lighting crews were delightful to work with!